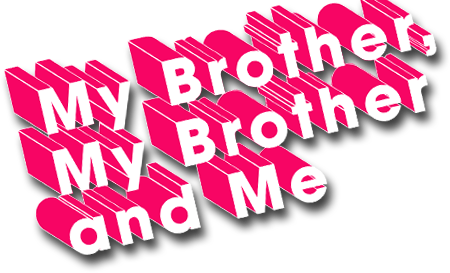 The Newest Maximum Fun Podcast: My Brother, My Brother and Me! Please welcome the newest podcast to join the MaxFunFamily: My Brother, My Brother and Me! My Brother, My Brother and Me is an advicecast for the modern era featuring three real-life brothers: Justin, Travis and Griffin McElroy. For about one-half to two-thirds of an hour each week, with new episodes dropping every Monday, the brothers McElroy will answer any query sent our way, each fielding questions falling into our respective areas of expertise. We operate like a streamlined, advice-generating machine. It’s both terrifying and humbling to behold. It was already a favorite amongs the MaxFun faithful in the forums, and when I gave it a listen, I was struck by how funny, charming and above all, "Max Fun-y" it is. I emailed the McElroys, and the rest was history. So, please welcome the McElroys into the family! Check the show out RIGHT NOW in iTunes. You can also download this week's episode directly from this link, or listen using the player below. ... and move to MAXFUN! Awesome move brothers! Awesome call MAXFUN! I listen to both maxfun and mbmbam religiously every week, so you guys ultimately just made my life easier. Thanks. I've been enjoying the McElroys' banter on the Joystiq podcast for years (I don't even play video games but it's a great podcast) and was pleased they started MBMB&M; now I'm delighted they've been brought into the MaxFun Fam. Hooray! Kiss your dad square on the lips!